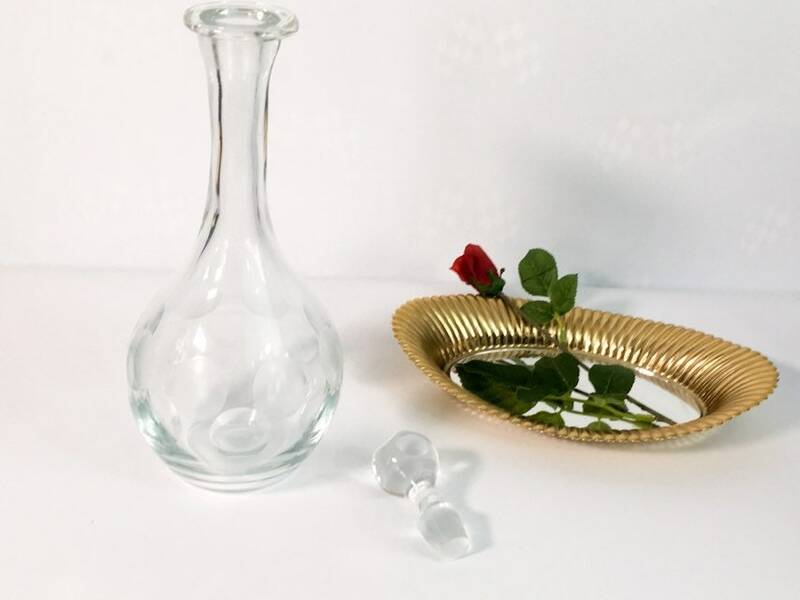 Lovely hand blown glass decanter with a heavy stopper in great vintage condition. 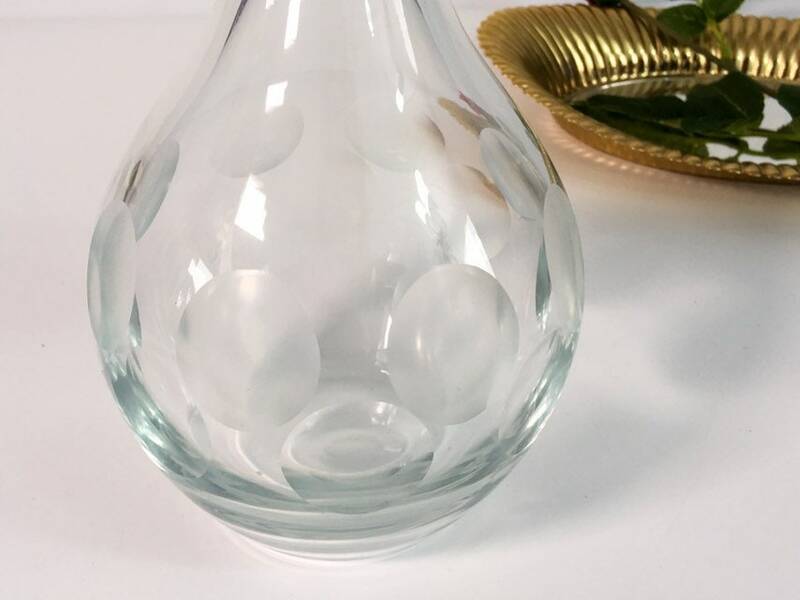 Round decanter with round/bulbous stopper, both features a round polka dot motif. On the decanter bottle portion there are two rows of these round dots of approx. 1" in diameter around the bottom section. 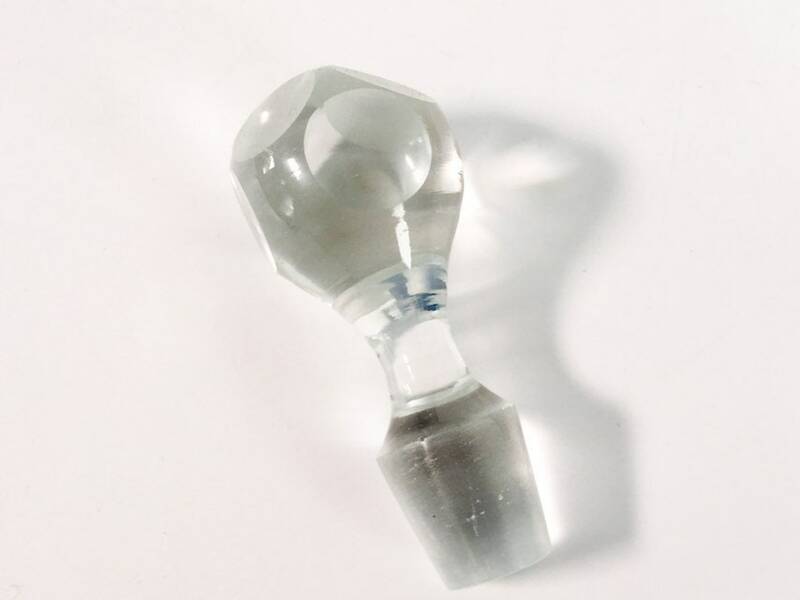 The stopper has two rows of polka dots or circles cut in the top of the stopper giving it a "faceted" look and feel. 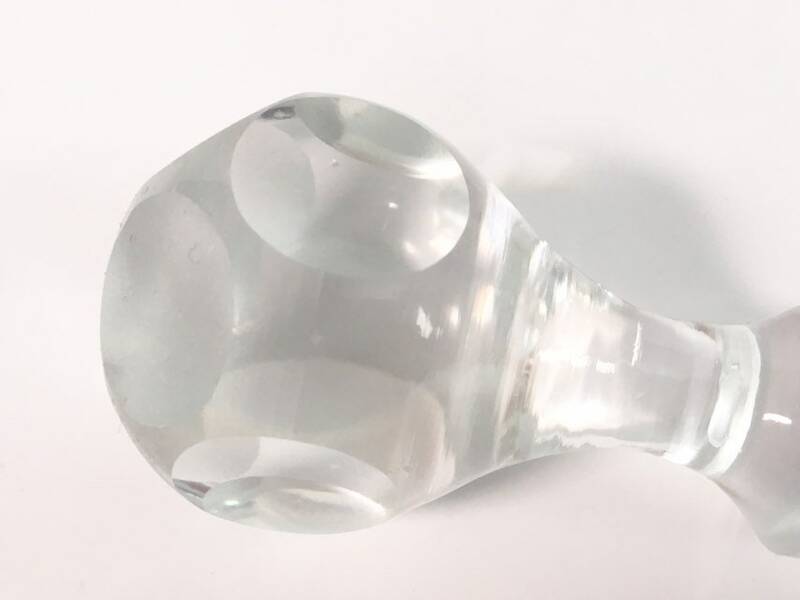 The bottom of the decanter has a distinct pontil as it is hand blown glass. 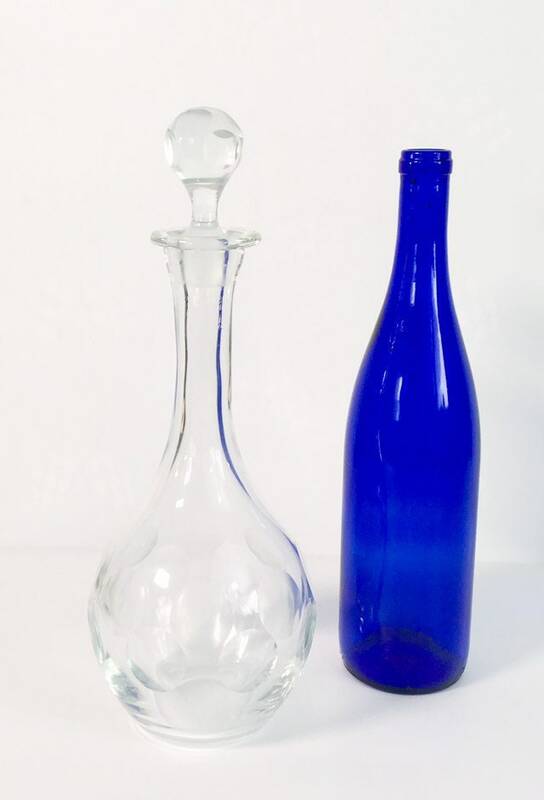 Both decanter and stopper are in nice Vintage condition with no chips or cracks. Glass is clear. 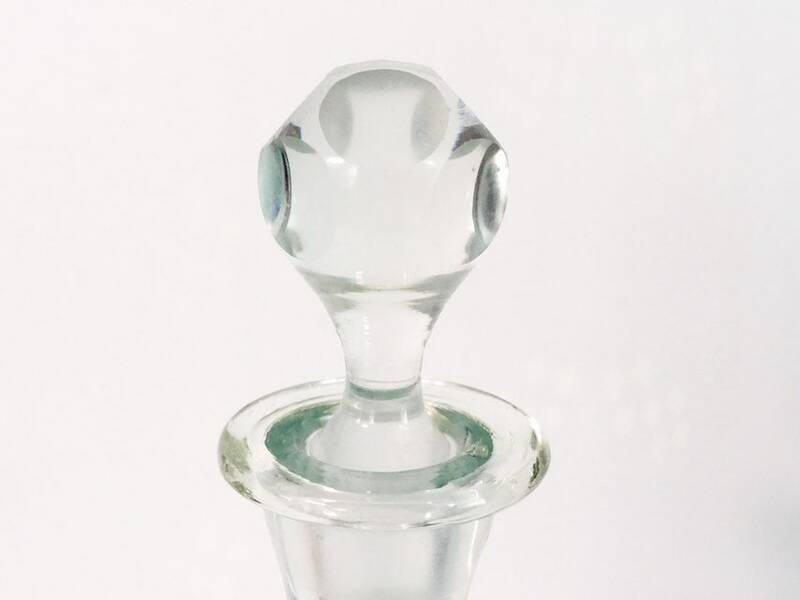 Some use marks where the stopper sits inside the top of the decanter. 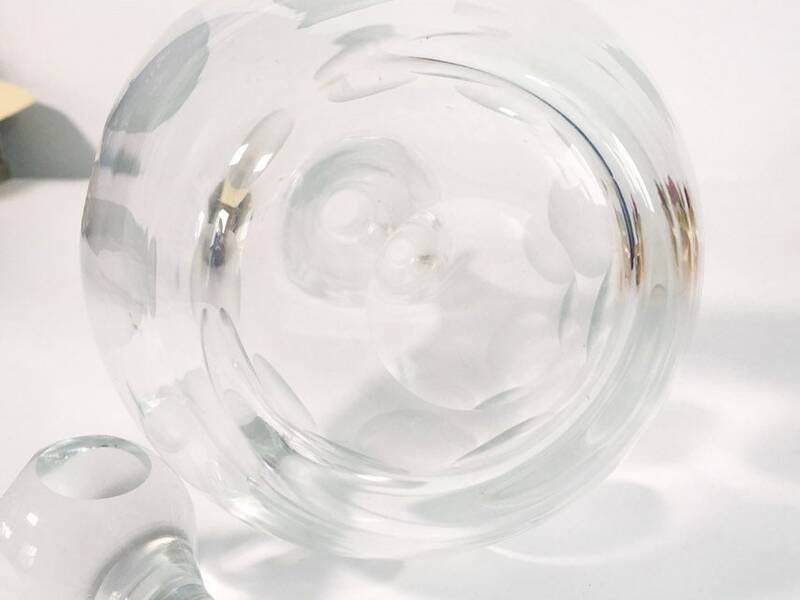 The top rim or lip is not a perfect circle, typical of hand blown glass items. 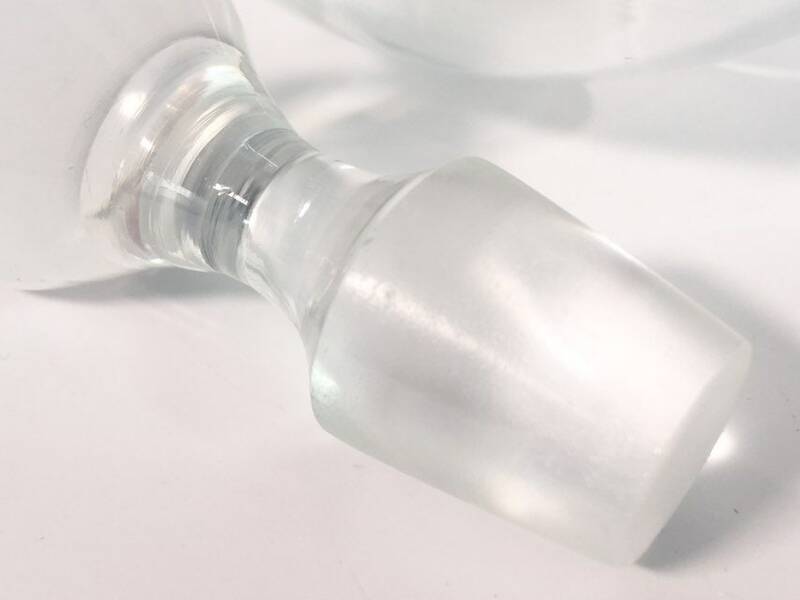 Decanter - 10 1/2'' tall without the stopper. With the stopper it is 13" tall. The decanter is approx. 4 1/2'' wide at widest spot. The decanter and stopper weigh 2 lbs. before packaging for shipment. 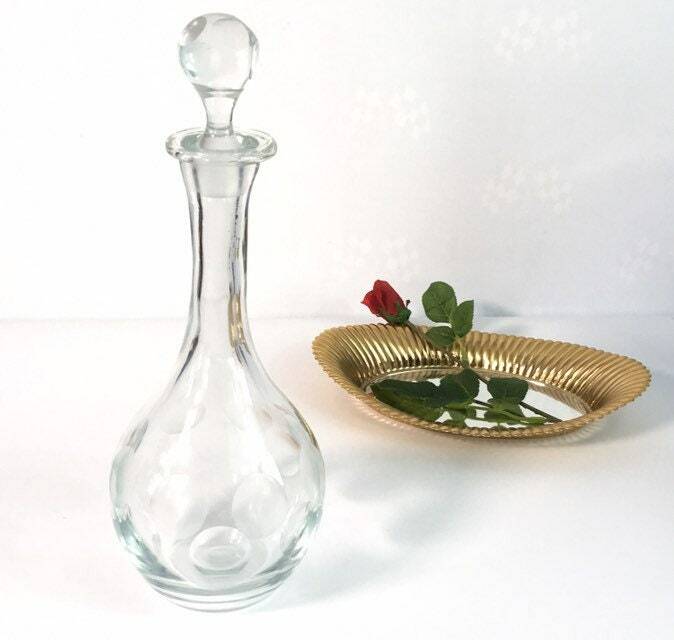 Great vintage decanter with a stopper that is very versatile. Use it for wine, whiskey, bourbon or anything you'd like!